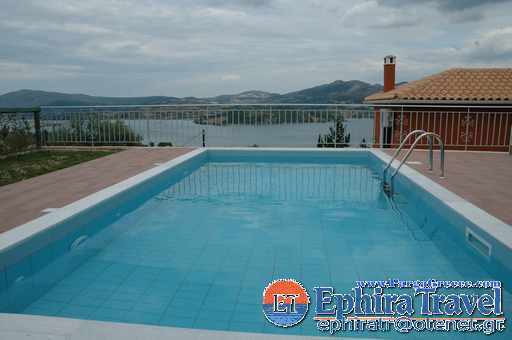 NO 88- PRIVATE VILLAS (WITH PRIVATE SWIMMING POOL AND SEA VIEW)-LEFKAS ISLAND. 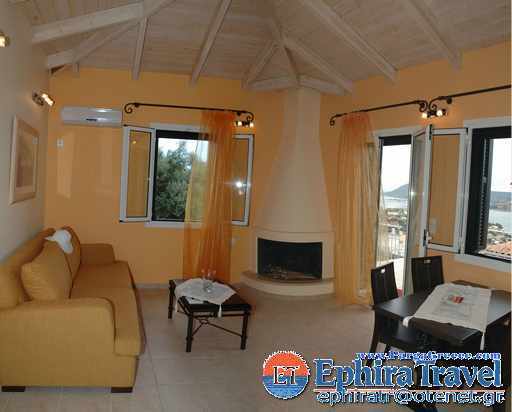 Distance from the beach(Lygia) 700 m.
These Villas ,are situated in Famous Lefkas Island (one of the most beautiful Ionian islands) the island of poets and music. 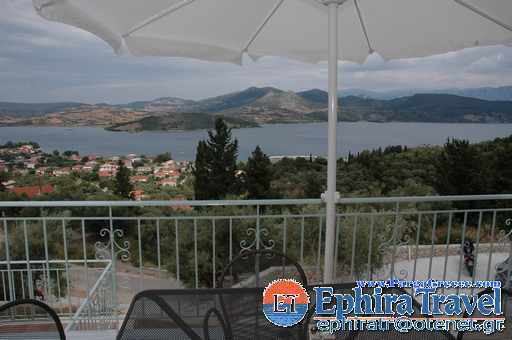 Villas consists of four independent Villa ,which are perched amphitheatrically on the side of the hill Katouna, only 700 meters from the harbour and the beach of Lygia and 7 kilometers from Lefkas town. 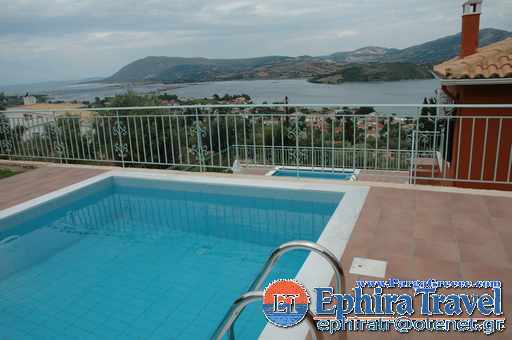 All Villas are situated on top of the Hill with Sea view, overlooking the town(katouna),Lygia harbour and the ancient town of Nirikos. 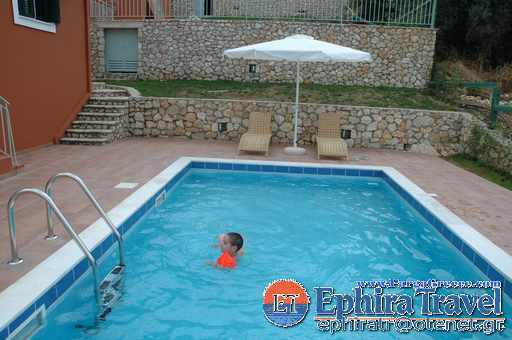 Each Villa has its own private swimming pool, garden and balconies overlooking the Ionian Sea. 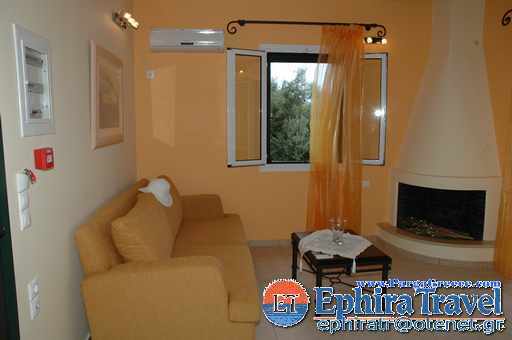 They are decorated in style and designed paying particular attention to detail. 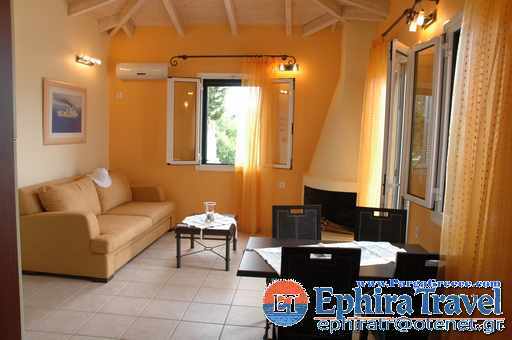 There is a cosy bedroom with bathroom a spacious sitting room with a fireplace and TV, a dining area and a fully-equipped kitchen( with washing machine), air-conditioning and private parking space. 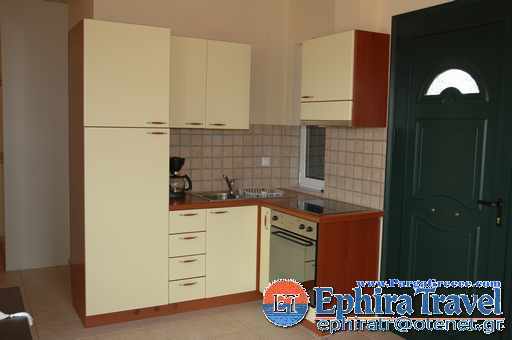 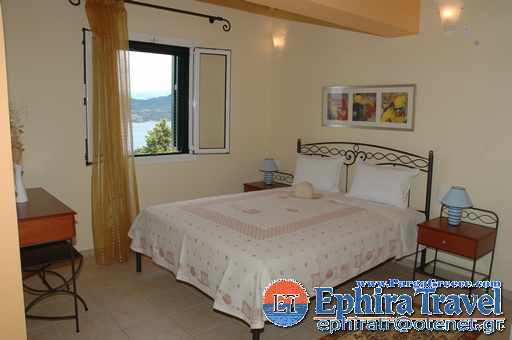 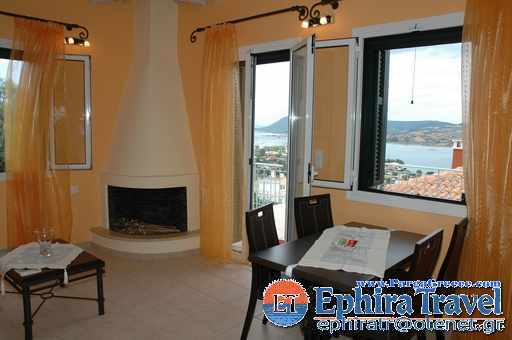 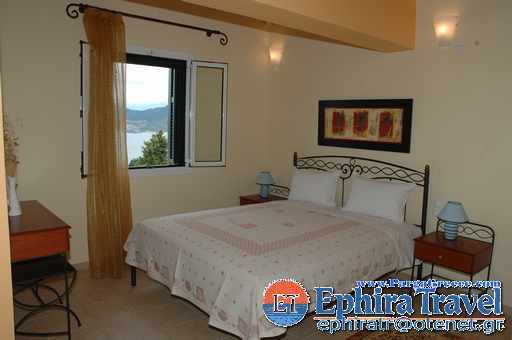 The names of the four Villa are Aigli, Arethousa, Erithia and Espera and each Villa can accommodate from 2 to 4 persons. 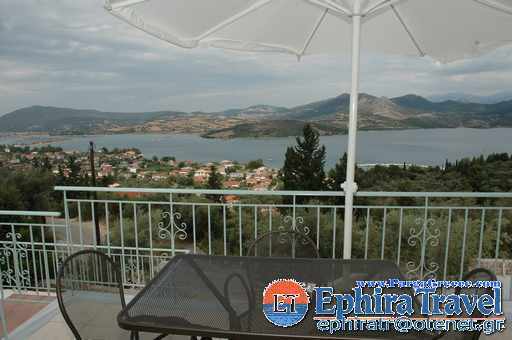 Just a short distance from Esperides Villas, in Lygia ,there are plenty of traditional taverns with fresh fish from the fishing boats of the village, bakery, cafes and mini markets as well as clean quiet beaches.